Basic geometry, angles, radii/centrality, balance and other related dimensions. To characterize ultimate edge/tip cross section with sub-micron resolution. High-resolution 3-D color imaging and qualitative characterization capability. 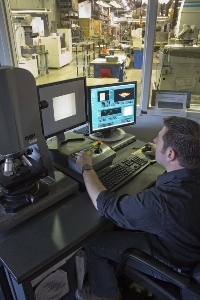 SEM imaging and magnification up to 24,000X.